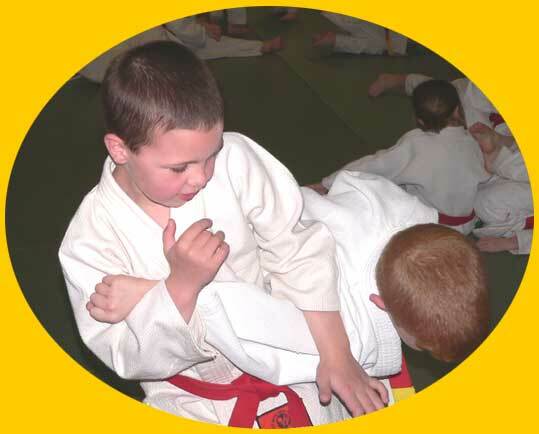 Putting the fun of competition on one side for a moment, I want to tell you about another side of judo at our Devon Judo Centres that is fun too and can provide you with a lifetime hobby; the art of judo. Look at young Alex below having fun with his partner. Free from the rules of competition you will be able to explore an exciting range of moves and techniques. These include some going back to feudal times. 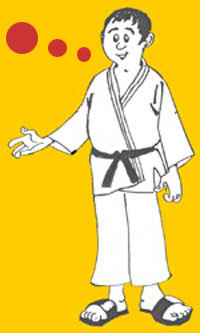 At Devon Judo Centres you will also make up your own breakfalling sequences (the art of falling without hurting yourself) and practise kata (prearranged sequences of moves) with a partner. Prizes are awarded for the best sequence of judo falls and the best presentation of judo moves. 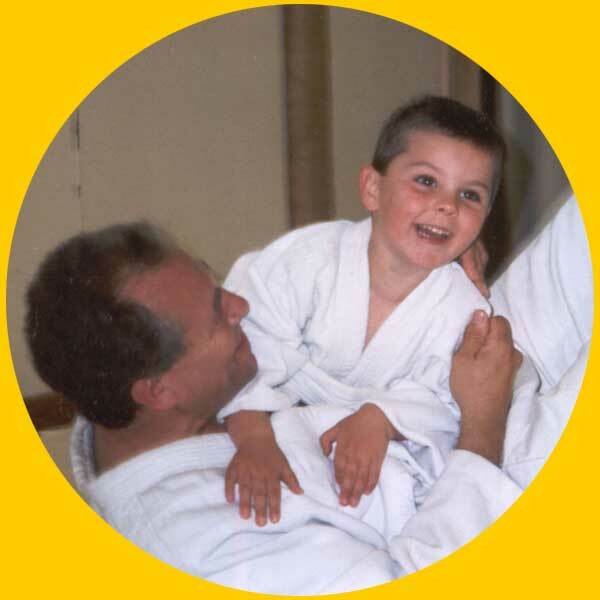 Throughout the year Devon Judo Centres organise many courses and events including an annual holiday martial arts weekend with families staying in caravans. This event is a regular feature in the calendar for many judo players outside the UBA. There are also many awards to achieve, certificates, coloured belts to gain and prizes to be won. You can enjoy all these quite separately to any medals you many collect on the way. And most importantly at Devon Judo Centres there's the fun to be had, all without worrying about becoming the next World Champion!